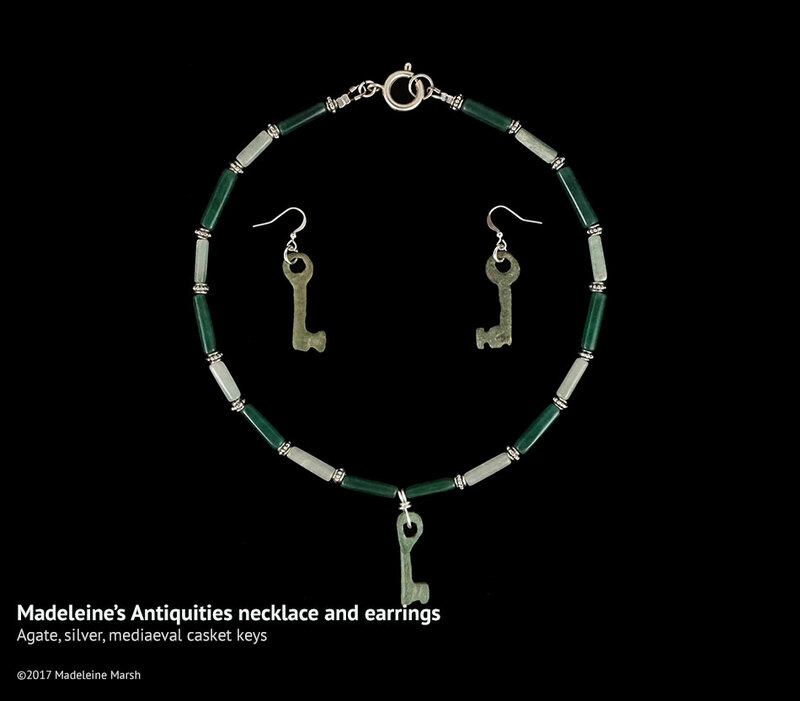 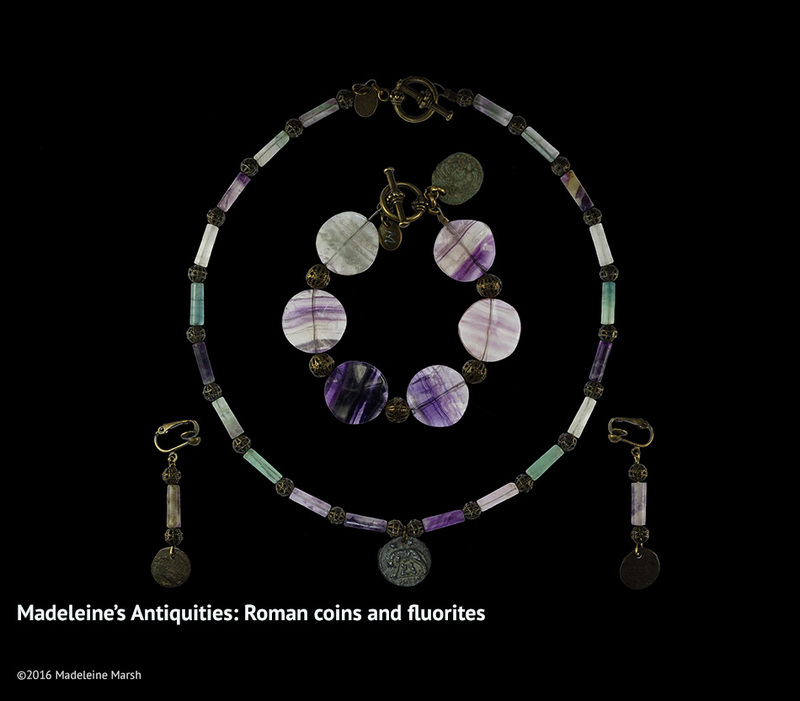 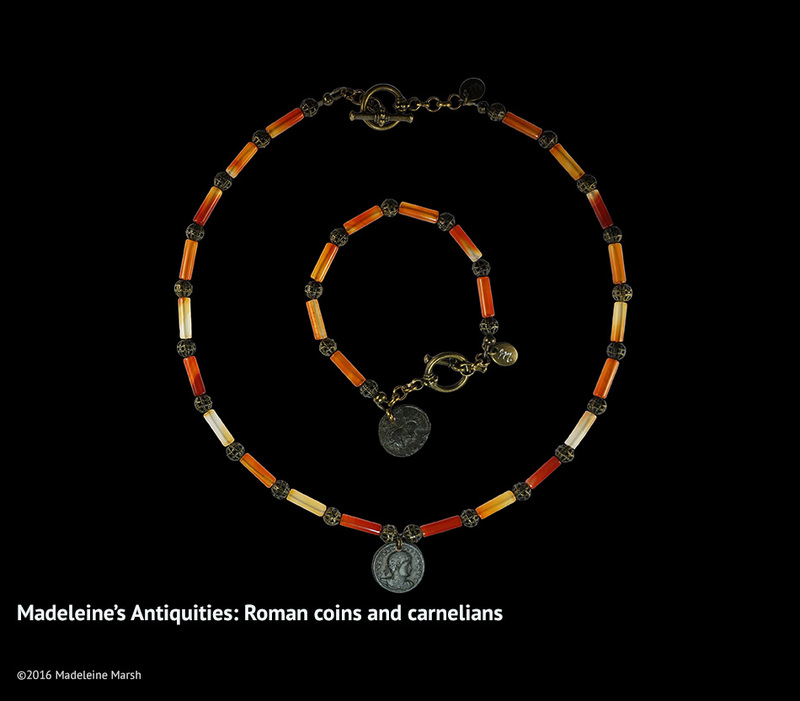 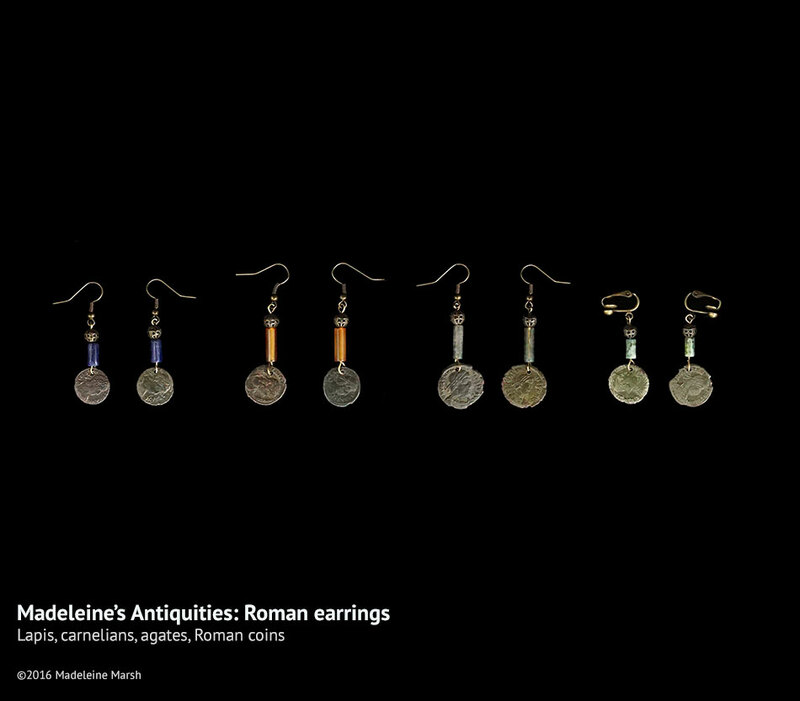 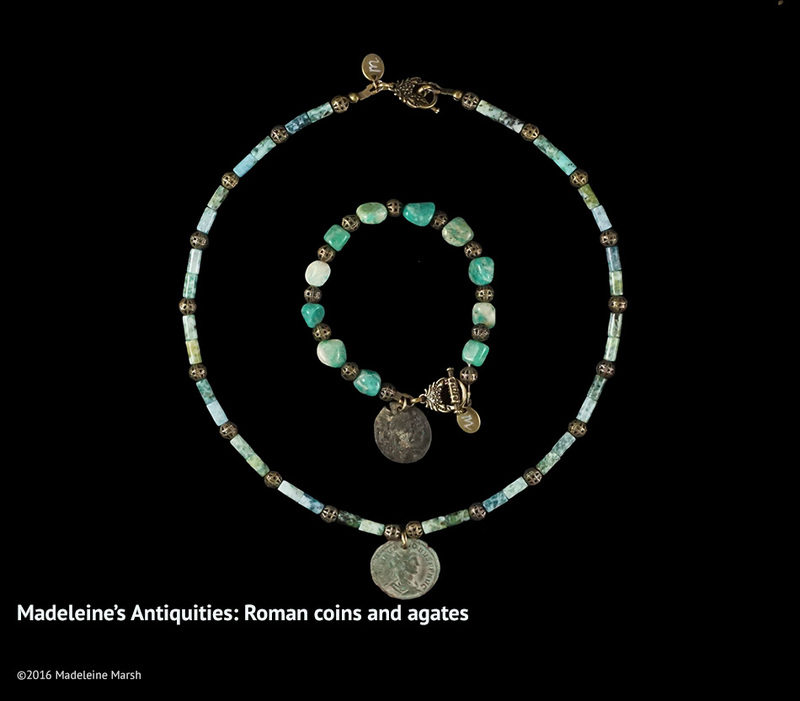 Madeleine’s Antiquities are jewellery made using Roman coins, dating from 2-4th centuries AD; ancient Roman glass and small antiquities. 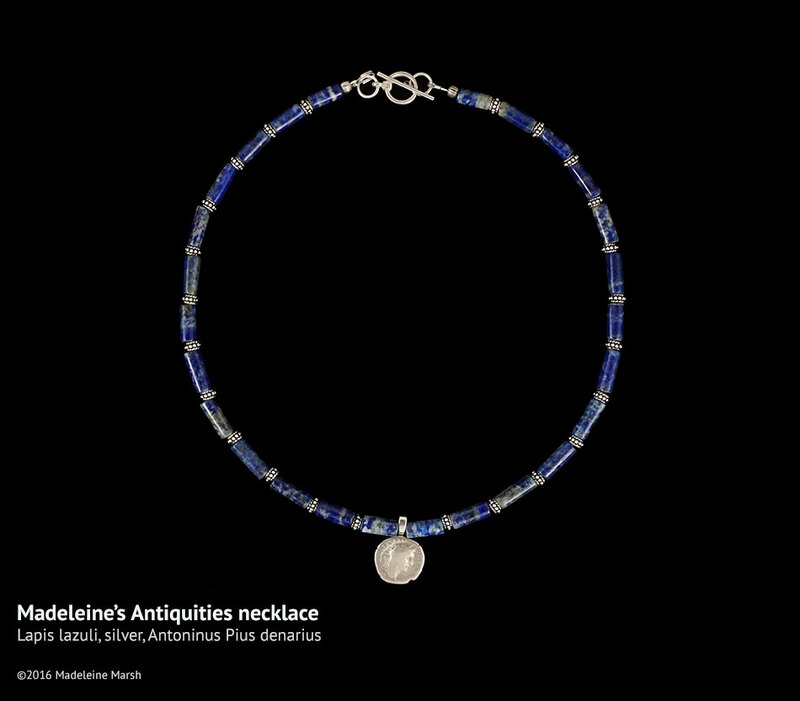 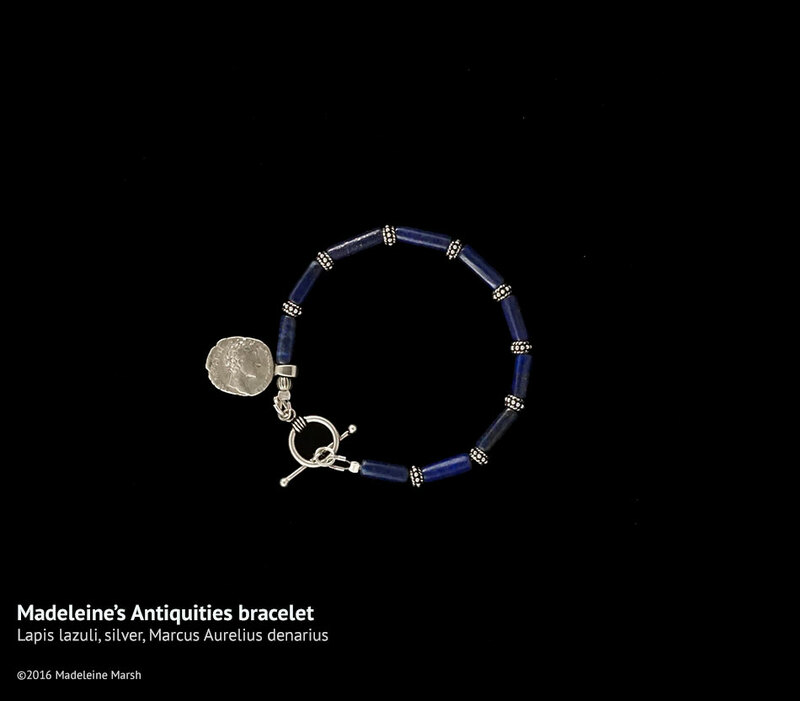 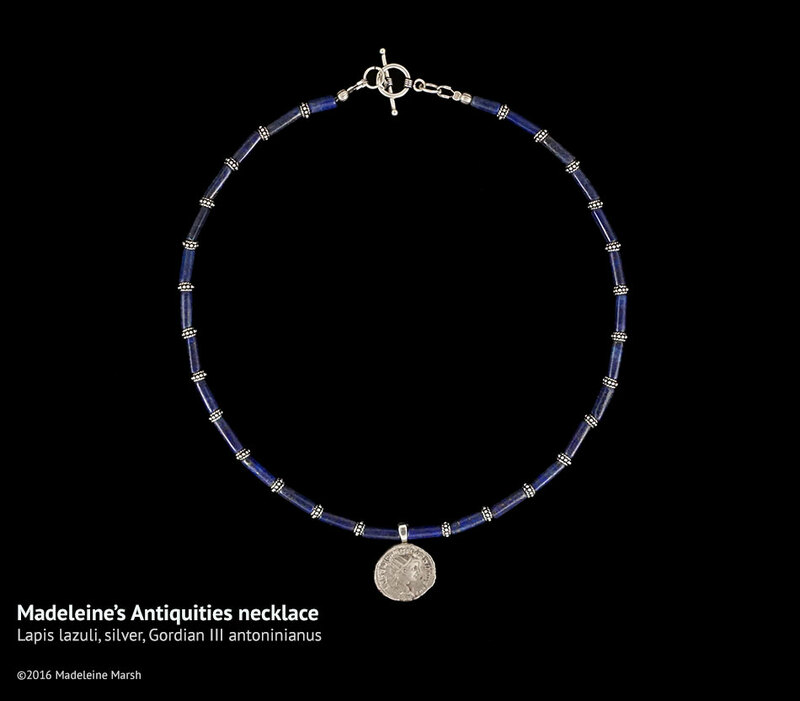 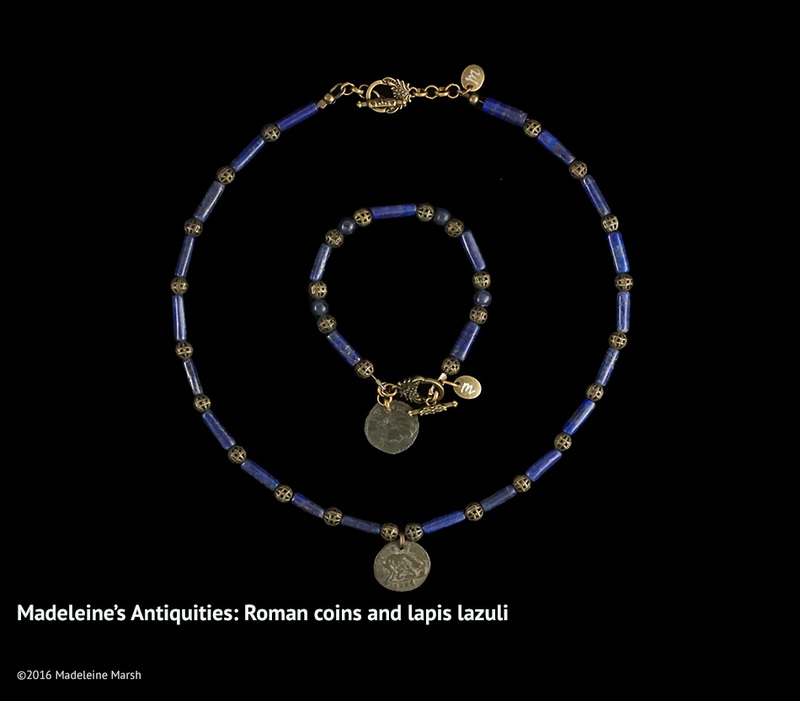 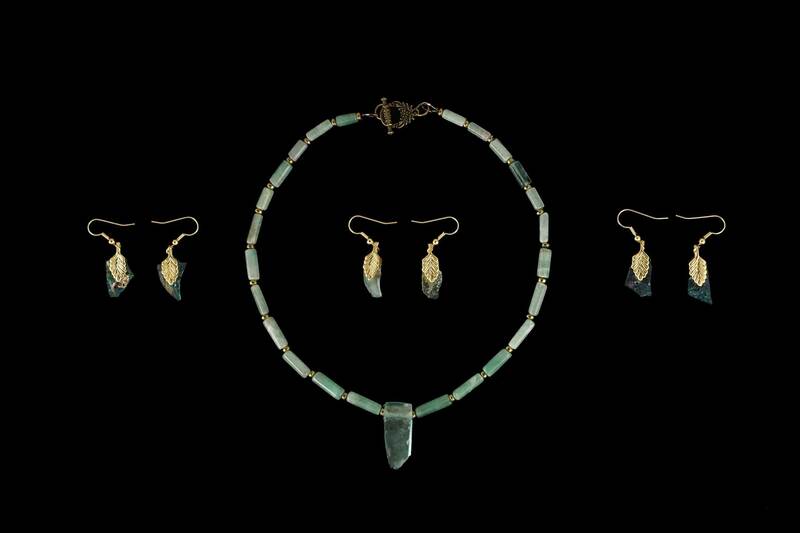 These are variously set on lapis lazuli, green agates, carnelians, amethysts… gemstones favoured by the Romans. 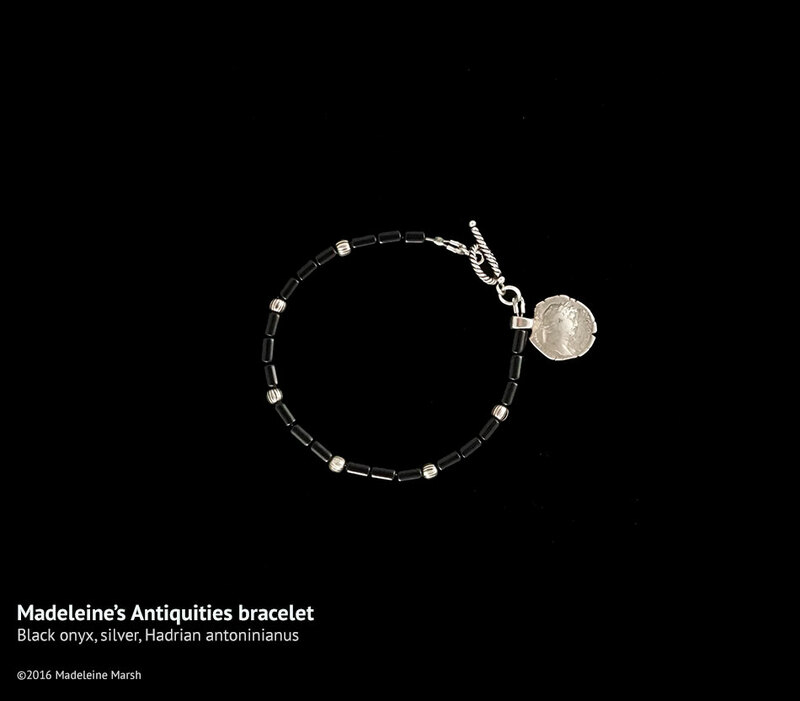 Each piece of jewellery comes with a historical description of the coin or object, and an account of the symbolic meaning of the semi precious stones, as used in the ancient world. 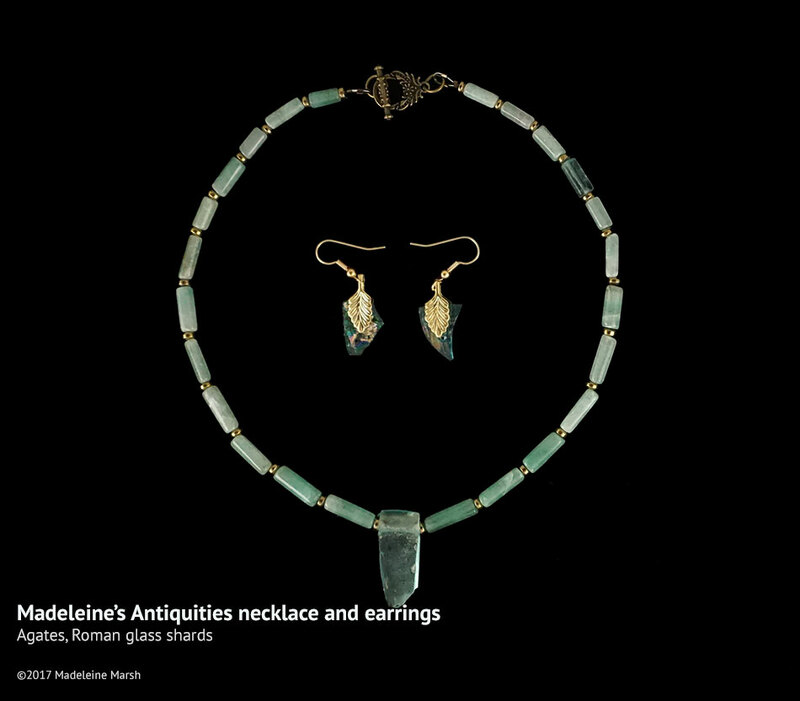 The joy of this jewellery is that it puts you literally in touch with antiquity. 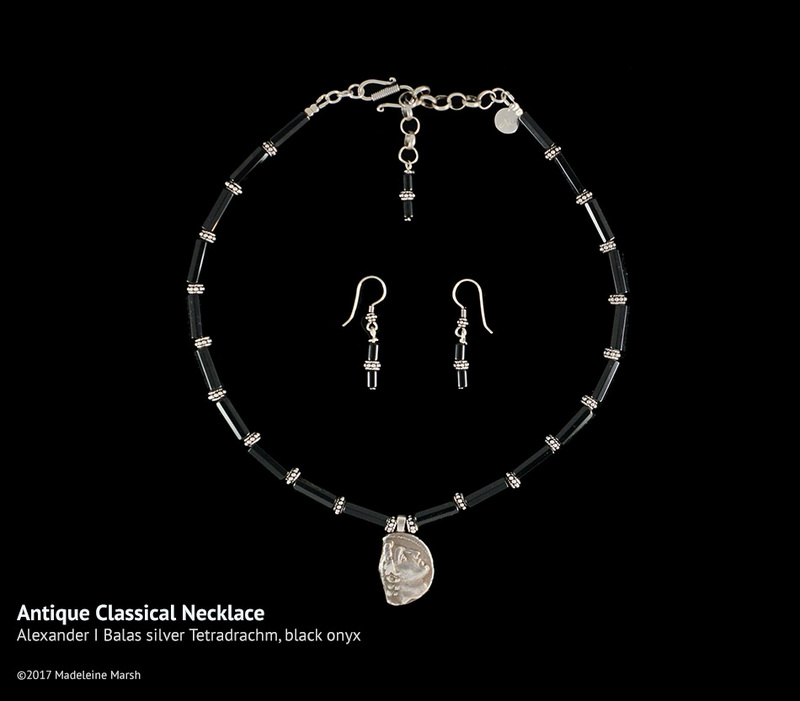 These pieces can be worn by men and women.